Asekose.am website/founder and director Aram Harutyunyan/ which belongs to Asekose LLC, provides news all day and tries to make heard the voice of people at all levels. Asekose.am is presented in three formats-AsekoseTV, AsekoseNEWS and AsekoseBLOG. In the AsekoseNEWS and AsekoseBLOG sections are presented the day's events, sharp minds, most popular faces, noisy events and the blogosphere. AsekoseTV is new format- the theory of virtual reality. 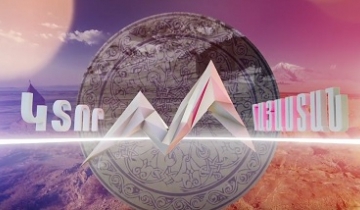 TV,that will adapted to your time and will be the first full page of the Armenian Internet TV. Our news, shows and ideas will continue to be by your side.We do not stop to feel the pulse of time and we will submit reliable information and also cases where HEARSAY BECOMES RELIABLE.